After you have sent the form, you will receive an email confirming your booking. You can combine the numbers of children and adults as you need. The total number of adult and children beds is at maximum 8. There are 6 standard beds in the cottage plus 2 extra beds. There are also 2 cots so we can try to meet your needs. If you are not sure whether the cottage is big enough for you, please send us an enquiry and we will find a solution. The bath barrel is for a fee according to the pricelist. In the high season we accept bookings for week stays. You can find more information in the section Pricelist. Do you prefer making a booking by phone? Please call us! You can contact us from 8:00 to 20:00 every day of the week. 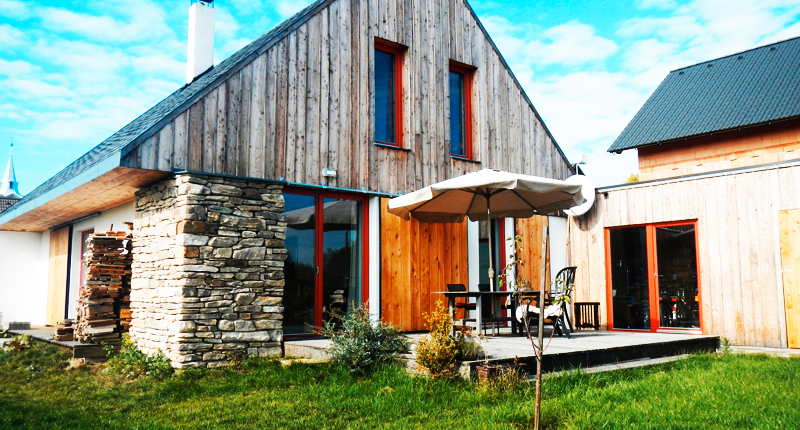 The cottage is situated directly in the heart of the mountain range Žďárské vrchy in the village of Sněžné which offers all public amenities. 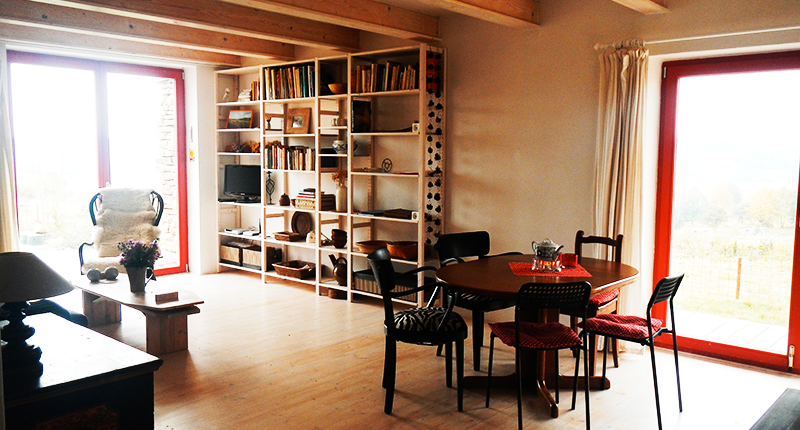 We offer accommodation in our cottage Sněženka (Snowdrop) to groups of up to eight people. On the barrier-free ground floor, our guests can make use of a living room with a kitchen, a dining table and a fireplace, a bedroom, a bathroom with both a shower and a bath and a separate toilet. On the first floor there are two separate spacious rooms, an open space for work and relaxing and a bathroom with a shower and a toilet. The cottage has also a garage and a workshop which can be used for storage and preparation of skis and bicycles. A wooden terrace with seating offers a beautiful view of the surroundings. In the garden, there is a sandpit and a small inflatable pool for small children. The cottage has above-standard furnishings. The bedrooms are furnished to provide sufficient comfort for relaxation. Each of the three bedrooms has two beds and shelves or a chest of drawers for personal belongings. For families with children we have a high chair and a travel and standard cot. Look at the pictures in our gallery! If you need any further information please do not hesitate to call us! We will answer all your questions.